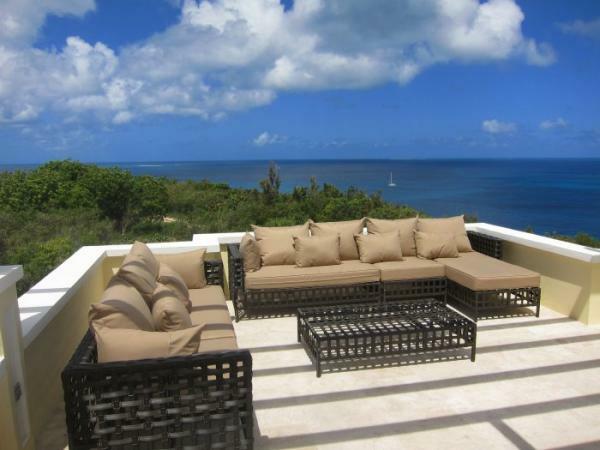 Oceana sits on Anguilla's highest point in splendid isolation making it very private. 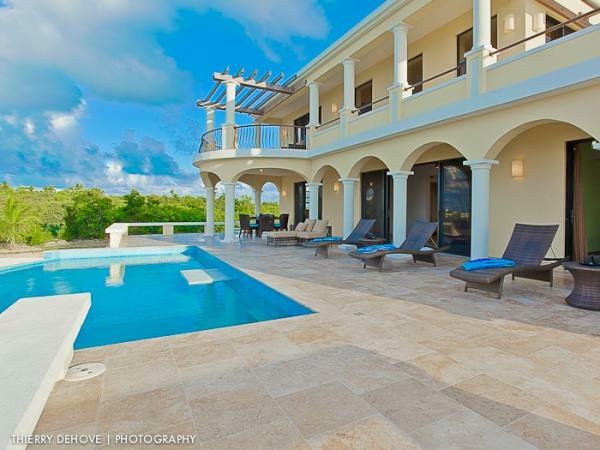 Arches frame the poolside deck and create a romantic ambiance. The large pool terrace and al fresco dining area create the perfect space for outdoor living .There are also two spacious upper level terraces with pergolas, perfect for relaxing, reading, and enjoying the sunsets. The pool alone would make you want to come to Oceana, even if there were no other amenities. The extra large 12 X 30 curved infinity pool is framed in stunning iridescent blue tiles. There is a shallow area with a ledge perfect for sitting and reading, as well as more than enough room to contentedly float away the hours with friends and family. Comfortable Frontgate lounge chairs, an expansive outdoor deck, and separate sitting areas provide many options for sunbathing, napping, or just relaxing with a good book. Oceana has an extensive pool deck that can accommodate a large group. 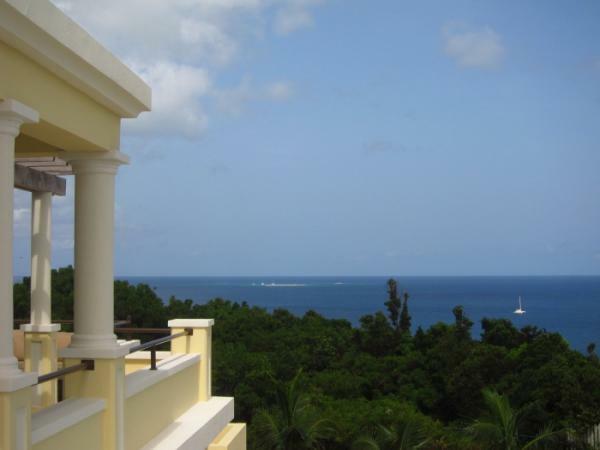 There are also several private balconies and outdoor decks for getting away from the crowd - the upstairs enchanting balcony off the master bedroom or the comfortable westerly deck. 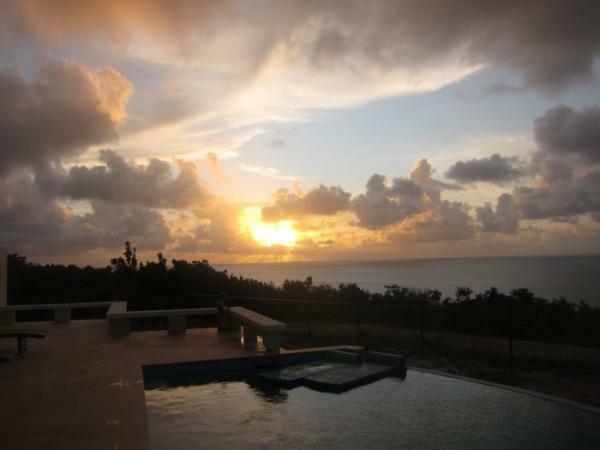 All are great for viewing mesmerizing azure waters, enchanting rainbows and spectacular sunsets. The two storied living room with its dramatic iron staircase and mezzanine sets the tone for contemporary elegance. 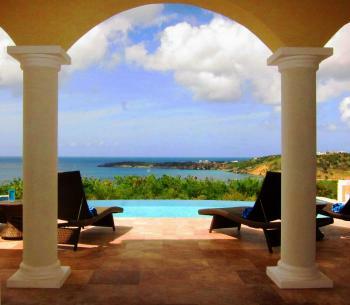 The great room is bright and airy and opens to the vast deck and pool with beautiful views of Flat Cap Point and Crocus Bay. 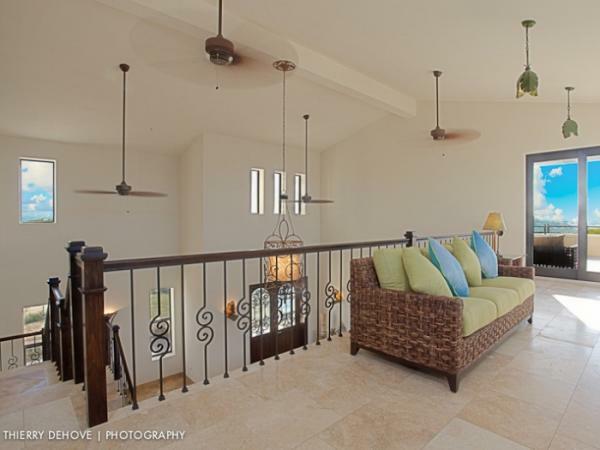 The second story mezzanine has expansive views of the Atlantic Ocean and has a queen size sleeper suitable for additional guests or younger children. Otherwise it's a sofa where one could easily be very comfortable reading, enjoying the amazing view, or taking a nap. The mezzanine looks down into the great room which has a large modular sofa and distinctive armoire with doors reclaimed from India that hides the flat screen TV, stereo, and DVD player. 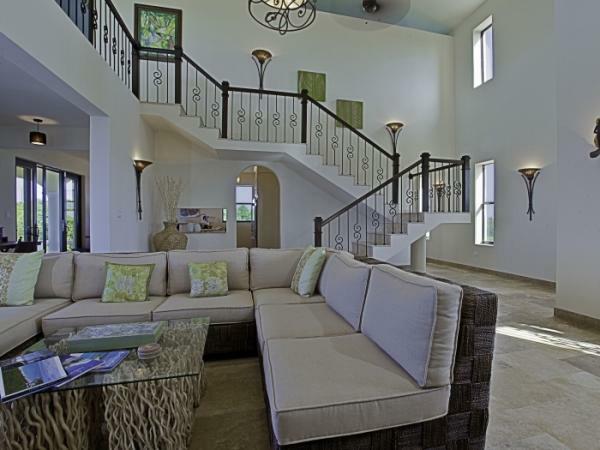 The mezzanine has a queen sofa sleeper that leads out to a large veranda and lounging area perfect for relaxing and viewing spectacular sunsets. The bright, open kitchen is situated to maximize the view of the beautiful turquoise water when preparing meals or dining in. The kitchen has unique granite countertops, Viking appliances, Zephyr vent hood, and a beverage/wine center. 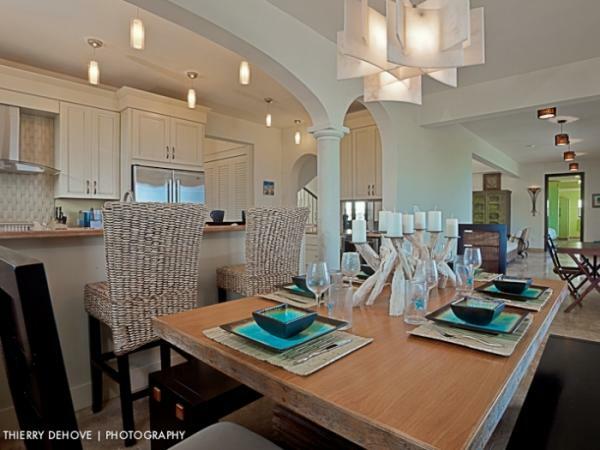 A contemporary alabaster light fixture hangs over the dining table. 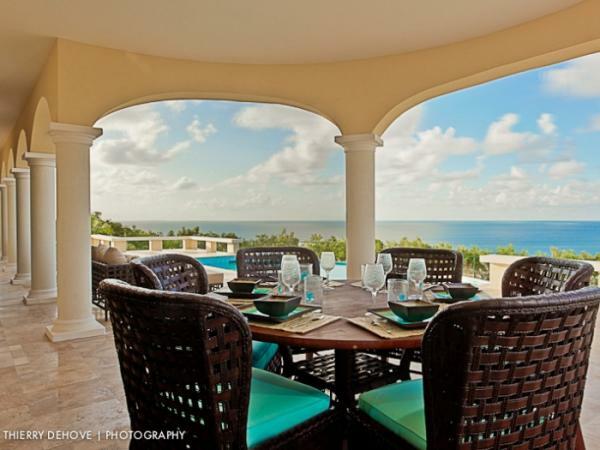 There is also al fresco dining off of the kitchen which provides a constant cooling breeze. The open concept kitchen and dining area adjoins the great room and also leads to a home office area complete with high speed internet and fax capabilities. 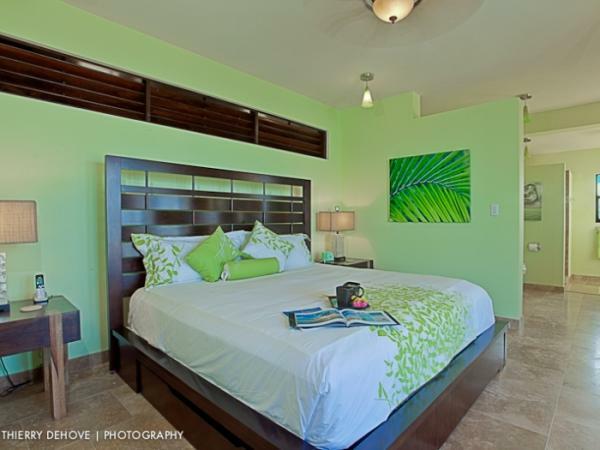 The air conditioned lower level master suite has a rich mahogany king sized bed with louvered panels overhead. 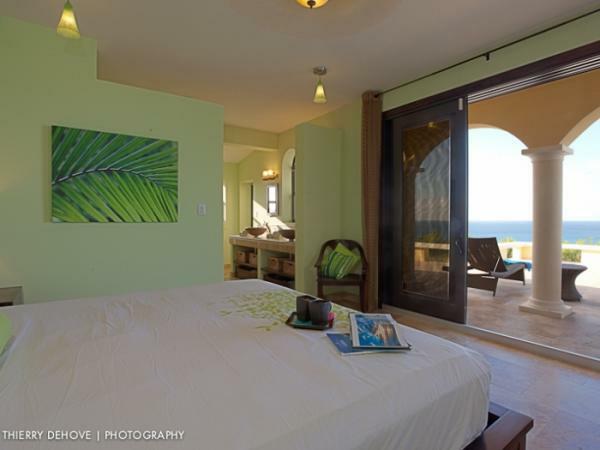 The bed faces outward so you awaken to a gorgeous panoramic ocean view and infinity pool right outside your door. Above the bed is a unique flower ceiling fan that is not only artistically striking, but when open, provides a cooling breeze. The walls are painted in a soft veranda view color for a soothing ambiance. The private en suite bathroom includes a walk-in interior stone shower and double artistic glass vessel sinks, and leads into a large walk-in closet. The romantic exterior shower frames an arched view of Flat Cap Point. 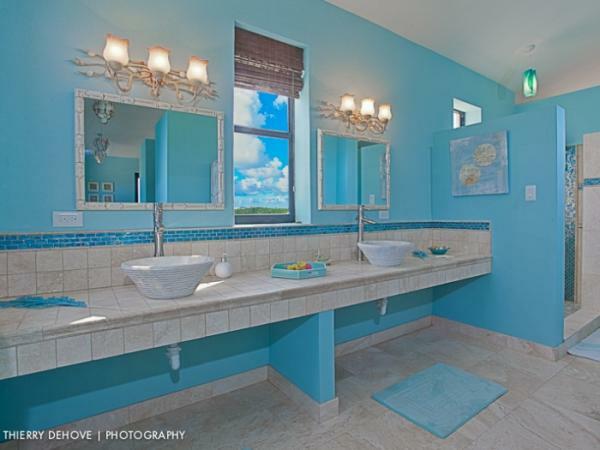 The spacious upstairs master suite is decorated in Dolphin's Cove blue for a beachy, tropical feel. Its high ceiling and easterly location provides for cooling breezes both day and night. 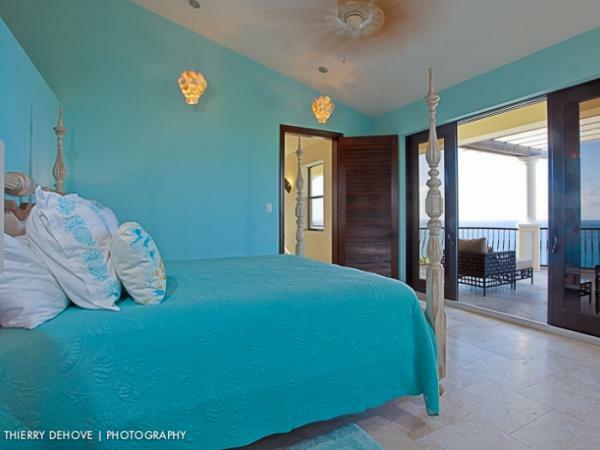 The inviting four poster bed looks directly to the adjacent balcony which appears to blend into the sea. While lying in bed, it's easy to imagine that you are on the bow of a ship moving into the waves. There is a large roomy walk-in closet behind the bed. 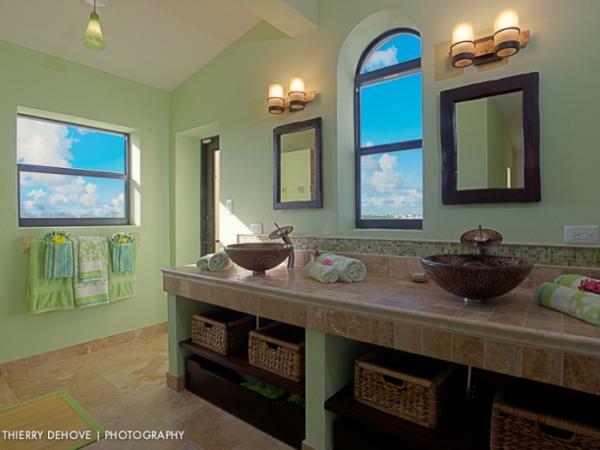 The spacious master bath has two vessel stone sinks, a one of a kind waterfall tiled indoor shower, and an open air outdoor shower which looks out over Crocus Bay. Nightly Rates: (Rates are quoted per night in US$ and are subject to government & services taxes) Subject to change without notice. 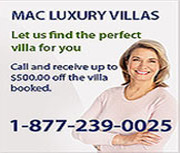 Shoulder Season Rates: (Nov. 1 - Dec. 18) $660 for 1 bdrm; $7804 for 2 bdrm.